Home › News › Visiting home town. 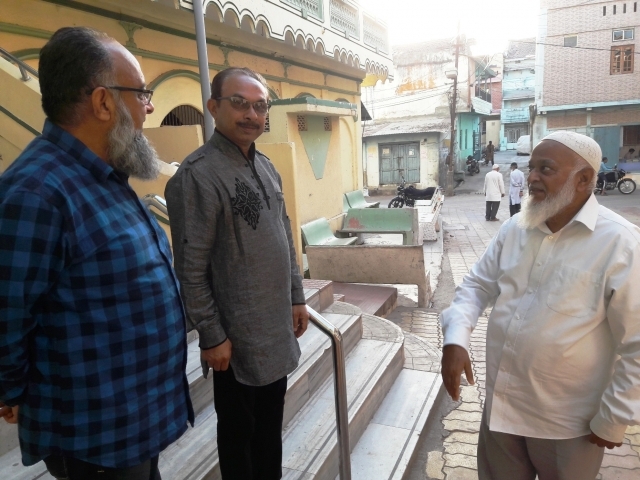 Anwar Khandhia visited most streets of his hometown great Tankaria by walking along with Nasirhusain Lotiya and Mustak Daula with full of excitement and that both persons introduced him lots of known and unknown citizens of his home town as well as homes which disappear from his knowledge. ‹ Golden Opportunity for youngsters.